Toyota said its total historical sales of vehicles powered by electricity and gasoline reached 5 million units through March 31. Toyota Motor kept its title as the most valuable car brand in 2015 despite recent airbag recalls denting its worth, according to a study. BMW remained No. 2, according to the BrandZ Top 100 Most Valuable Global Brands study released today by market researcher Millward Brown. Mercedes-Benz was third. 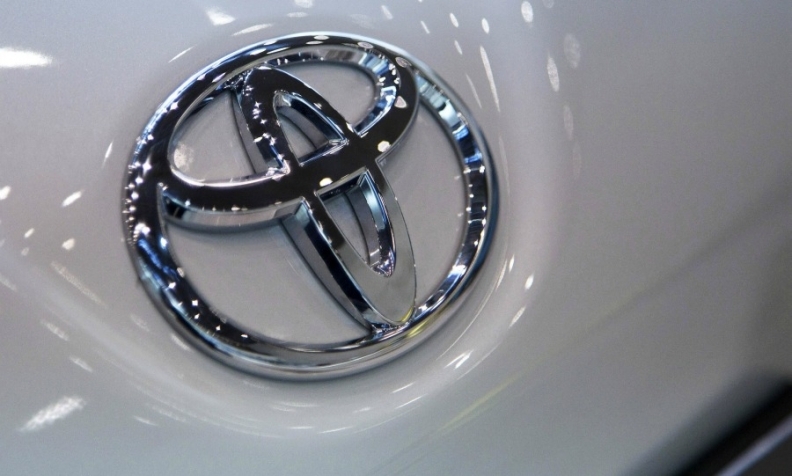 Toyota’s brand value fell 2 percent to $28.9 billion, according to the study. Honda was the only other top 10 brand to have its value drop besides Toyota, as it also suffered from the effects of airbag recall issues. Its brand value fell 5 percent to $13.3 billion. Toyota and Honda are among automakers forced to recalls millions of vehicles, mainly in the U.S., fitted with airbag inflators supplied by Takata that can erupt with too much force, spraying shrapnel inside the car. Toyota has been No. 1 in eight of the 10 years the study has been carried out. Second-ranked BMW’s value increased 2 percent to $26.4 billion. BMW received a boost from its innovative i8 plug-in hybrid sports car and i3 battery-powered hatchback. Mercedes’s brand value rose 1 percent to $21.8 billion. Audi was the fastest-rising car brand, overtaking parent Volkswagen for the No. 7 spot. Audi’s brand value increased 43 percent to $10.1 billion compared to 2014, according to the study. Ford Motor’s value increased at the second-fastest clip by 11 percent. Land Rover overtook Chevrolet for the No. 9 spot by appealing to customers’ demand for SUVs while surpassing expectations with the luxury driving experience it offers, Walshe said. “Land Rover is not worried about being worth the premium price it charges, because that is what makes the brand desirable,” Walshe said. Land Rover is also doing particularly well in China where it now has production, Walshe said. “Land Rover’s success in China is a big step, because up until now, the brand has mainly been about quality in the UK,” he said. Toyota’s Lexus brand overtook Hyundai to rank No. 10 thanks to its association with luxury and reliability, Walshe said. “While Lexus is oriented towards the U.S., the brand is about absolute quality and complete differentiation, leadership and being very well managed,” Walshe said. The top 10 car brands collectively have grown more slowly by 3 percent to $143.6 billion, a levelling off from 2014's 17 percent increase, as it becomes more difficult for carmakers to differentiate themselves. “Because of the high quality and technology involved required to raise brand value, it is harder to be differentiated,” Walshe said. Apple passed Google to become the world’s valuable brand in the overall rankings. Apple’s brand value rose 67 percent to $247 billion. Google, last year’s leader, saw its brand value rise 9 percent to $173.7 billion.